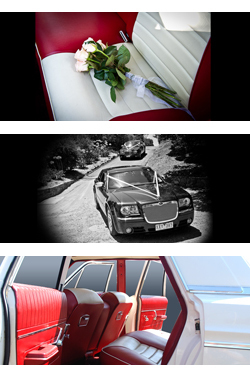 As a Proudly Accreditied Member of The Wedding Car Assosiation and Mornington Peninsula Wedding Assosiation we would love to discuss your special event with you. Mornington Chauffeured Limousines wants to make your special occasion memorable and elegant by providing a quality chauffeured limo service in one of our very special cars. We offer 3x 300c limos, a 1965 Dodge Phoenix and for group transportation a 21 Seat Bus and a Luxury VW Transporter with 10 passenger seats. Established in 2008 we are a family owned and operated business that aims to give you a reliable, comfortable and friendly service. Large enough to cater for your big events, small enough to help you customise your small events to create memories that will last a lifetime. Based on the Mornington Peninsula we are available to take you anywhere in Melbourne you might like to go and if transfers to or from the airport are required we will get you there comfortably 10mins early and stress free. We are Fully Accredited with the Victorian Taxi Directorate, We also have current public liability insurance. We only use accredited drivers who hold current Police Criminal Checks.